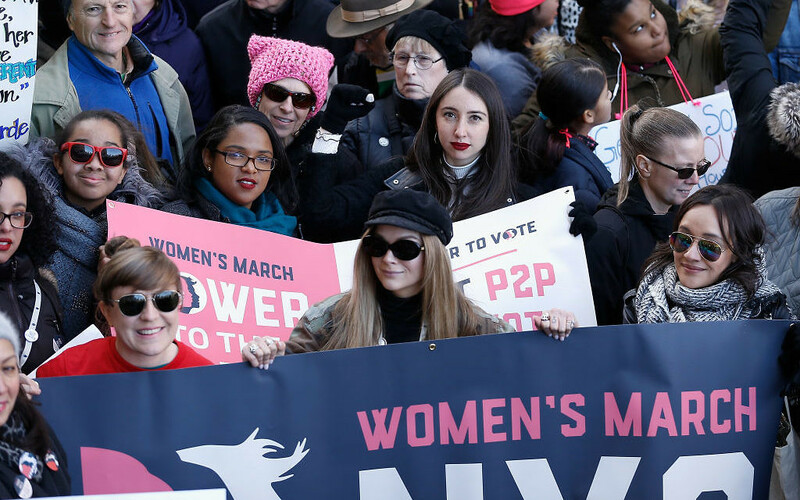 The lead up to the Women’s March held last Saturday exposed yet another rift in the American Jewish body politic. In the face of the controversy over March founders Tamika Mallory’s and Linda Sarsour’s associations with Louis Farrakhan and their various pronouncements on Jews and Jewish issues, Jews differed on how best to respond and whether to join or boycott the March. At root was a spirited disagreement over the best way to counter growing anti-Semitism. Noted Holocaust historian Deborah Lipstadt strongly opposed participation in the March. “How can self-respecting Jewish women support you when you stand by someone who called us ‘termites’ and then only offer tepid critiques after a wave of criticism swept over you?” she asks rhetorically of the two March founders. The Deborah Lipstadt camp embraces the more traditional approach to opposing anti-Semitism: condemn it whenever and wherever it rears its ugly head. It holds that by fighting hatred we consign it to the margins of society. And by sitting with people tainted by anti-Semitism we enable and empower it. The Shifra Bronznick camp, by contrast, believes that Jews cannot influence these progressive movements if they refrain from being at the table. Condemning these leaders, they argue, simply cuts Jews out of the conversation and prevents us from swaying the internal discourse of these movements and how they ultimately perceive Jews and Jewish issues. It marginalizes us, not them. These two camps are often seen as working against each other. The Jews who sit with the March organizers are seen by the condemn/marginalize camp as providing validation to anti-Semitism. The Jews who call out anti-Semitism are seen by the engage/influence camp as contributing to a perception among progressives that the Jewish community is aloof and uncommitted to the equality agenda. It would be easy to see this rift as further evidence that ideological disagreements are tearing at the fabric of Jewish unity and weakening our political potency. Might it be possible, however, that we should welcome these differences even if we personally prefer one approach over the other? It is a sign of the times that so many Jews assert their singular, inalterable truth, wishing away anyone who doesn’t agree with them. Wishing away our diversity. But I would argue the best way to collectively fight anti-Semitism is for some people to take an unwavering principled stance, calling out anti-Semitism at every turn, and for others to engage intersectional circles, join planning efforts, and influence the movements from within. The mixed messages and differing approaches are better than if either one completely won out. If the condemn/marginalize camp had its way, Jews would be more isolated. If the engage/influence camp had its way, no one would send the unmistakable message that associating or espousing anti-Semitism is a blight. Neither of those outcomes would be better than these two approaches playing out in the public square at the same time. Moreover, far from working against each other, the two camps inadvertently enhance each other. The good-cop bad dynamic has long been effective in negotiations and in advocacy. The bad cop—in this case the condemn/marginalize camp—can enhance the status of the good cop—the engage/influence camp—whose approach can come across as a rational and fair-minded alternative. With the bad cop breathing down her neck, the good cop can make the case against anti-Semitism in a way the target audience—in this case people involved in the Women’s March movement—are more likely to hear. In this light, perhaps these seemingly contradictory approaches can be more tolerant of each other and not see the other as its mortal enemy, but perhaps even as a reluctant ally. One thing’s for sure: neither of these approaches is going away, no matter how hard the other may wish. In fighting the world’s oldest hatred, our diversity is our strength. David Bernstein is the president and CEO of the Jewish Council of Public Affairs. Follow him on Twitter @DavidLBernstein.